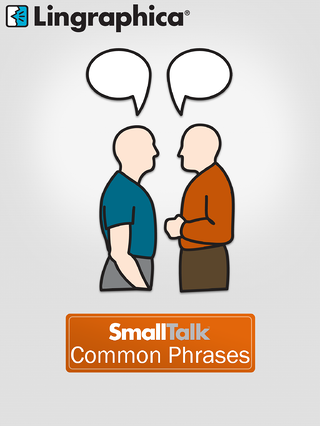 This month, we explore SmallTalk Common Phrases. When someone suffers from aphasia or another type of communication disorder, it makes communicating even the simplest things difficult, such as saying "hello" or "I love you." At Lingraphica, we understand how frustrating this can be, so we developed our SmallTalk Common Phrases app to help people communicate what they want or need to say. 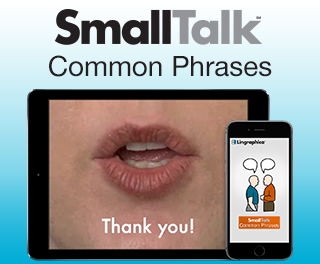 The SmallTalk Common Phrases app provides a series of speech-exercise videos, each illustrating the tongue and lip movements necessary to produce common phrases. The mouth-position videos for each icon are helpful for practicing phrases and strengthening communication skills. 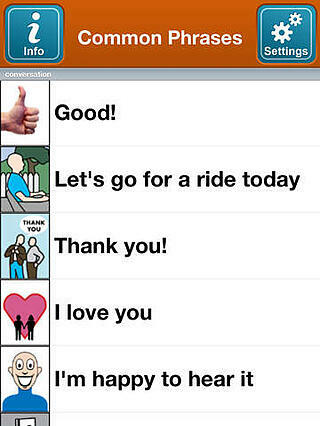 The SmallTalk Common Phrases app is an essential tool for people with aphasia and other speech and cognitive disorders to have. To learn more about our other SmallTalk Apps, download our App Guide below.